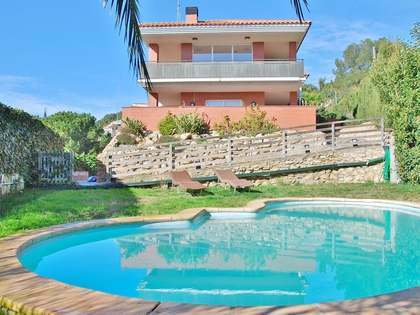 House of 378 m² built in 1990 and in very good condition located in the exclusive area of Cala Romana, with direct access to Els Capellans beach and Platja Llarga, a few metres from a tennis and sports club and a few minutes from the centre of Tarragona. The house is south-east facing, so it receives abundant natural light and enjoys incredible panoramic views of the sea. 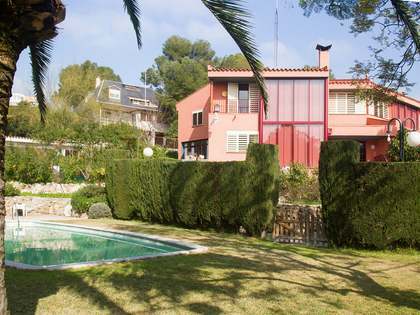 It is located on a plot of 800 m² with a wrap-around garden with summer and winter areas, a raised pool with a cover, as well as access to the 2-car garage, with 3 outdoor parking spaces as well. We enter the ground floor, where we find a large and bright living room on 2 levels and 2 exits to the garden, a large kitchen with a central island, a bathroom and a guest bedroom. The first floor offers 2 double bedrooms, a complete bathroom and the master bedroom with private bathroom. The upper floor houses a studio bedroom with a terrace. Finally, the basement has a 2-car garage and a laundry room. 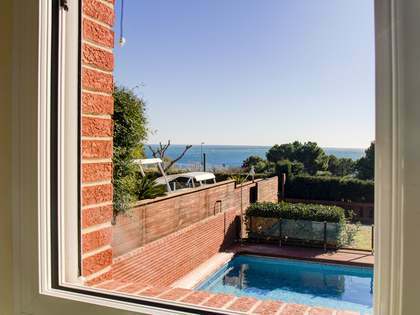 An excellent opportunity in a fantastic location next to the beach, ideal for families as a first or second residence. Contact us for more information or to arrange a visit. Access to garage with 2 interior parking spaces and up to 3 exterior spaces. 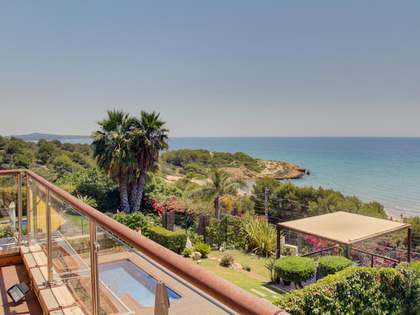 Property located in the exclusive neighbourhood of Cala Romana, with direct access to the beach Els Capellans and Platja Llarga and a few metres from a tennis club and sports centre. 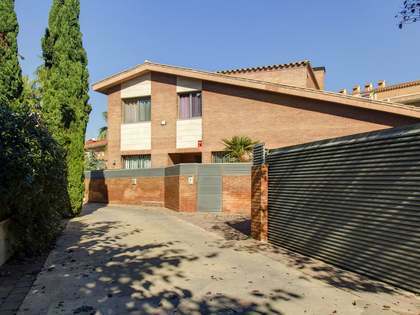 It is located just 3 minutes by car from the centre of the city of Tarragona, with all its services.